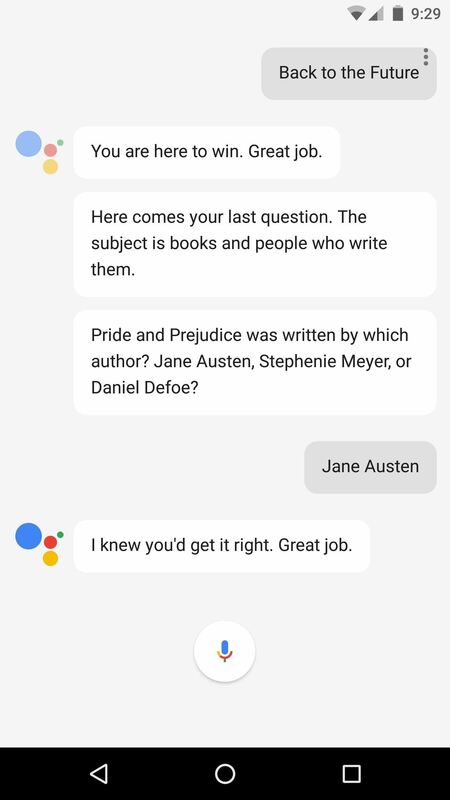 If you took your favorite search engine, gave it a witty personality, and bundled it together with a messenger-style interface, you'd have the new Google Assistant. It's great for getting fast answers—even on your follow-up questions—but its flair for fun might just be the standout feature. According Ars Technica, Google worked with experts from Pixar and The Onion to "craft a personality" for the Assistant. They've also discovered a silly, time-wasting game baked into the app. It's an Easter Egg of sorts, so you have to access it by saying "I'm Feeling Lucky," but then, a miniature game show starts up, complete with corny music and a live studio audience (check out Ars' video to see what we mean). 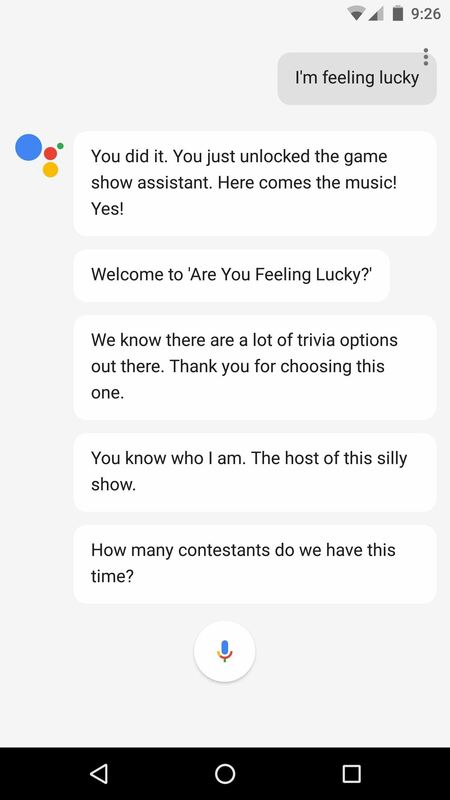 From there, you'll be asked how many contestants are playing, so the game show Easter Egg even works with multiple players. But once the actual game starts, you'll be asked a series of trivia questions. 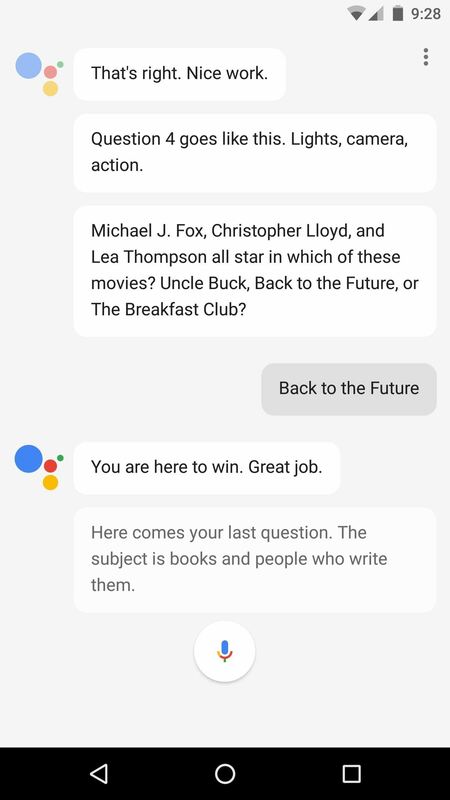 There's no timers or buzzers, but Google Assistant will start listening as soon as it finishes the question, so just fire off with your answers. 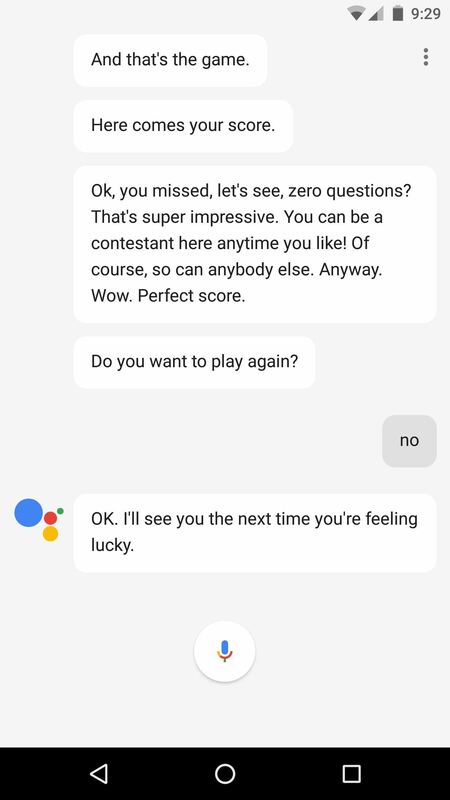 Each round of the I'm Feeling Lucky game consists of five questions, and the Google Assistant will even give you a random nickname (ours was Salamander) to make things feel more personal. 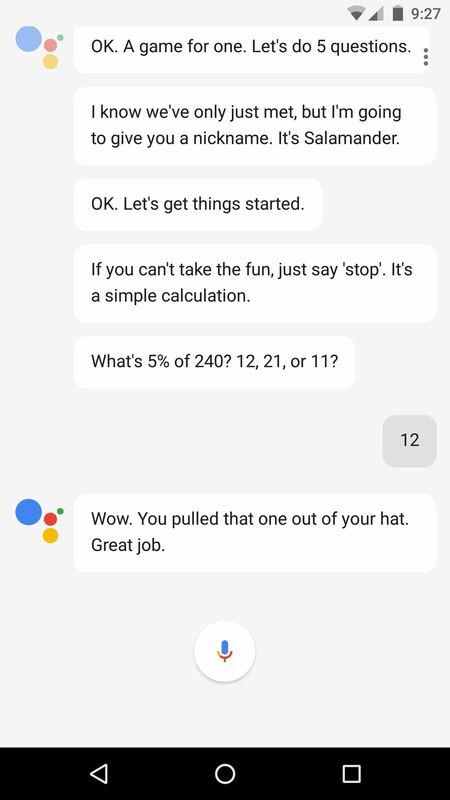 But once you've answered all of the questions, you'll hear some applause (or maybe a few jeers), then the Assistant will summarize your score and ask if you'd like to play another round. 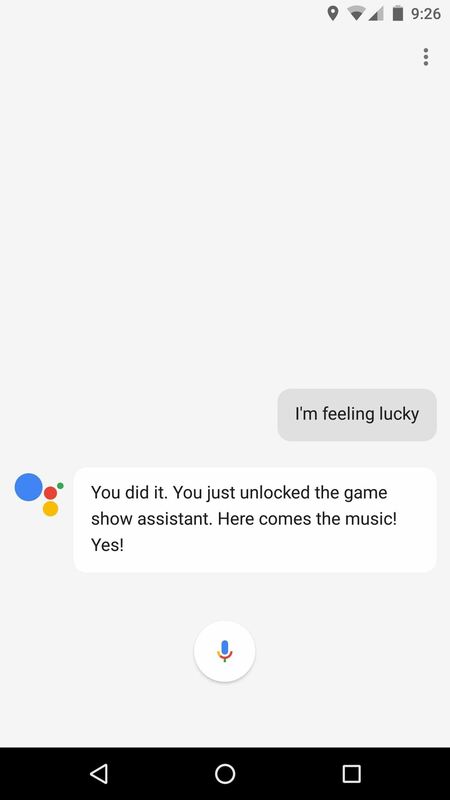 The game show Easter Egg doesn't have any leader boards or social media integration, but that simplicity is kind of the point—it's just a fun time-waster to help you get through the day, and another great way for Google to make their new Assistant more approachable.